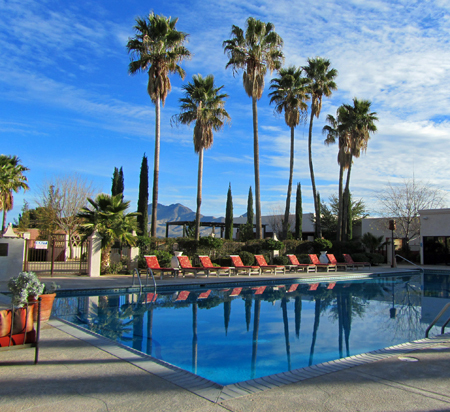 Our road trip to Tucson via Las Cruces afforded us the opportunity to stay at two of Heritage Hotels lovely properties. First, for just an overnight, we enjoyed Hotel Encanto de las Cruces. with its Spanish Colonial decor and ambiance. But the real opportunity to relax and take in the hospitality of a scenic resort came when we reached Rio Rico, Arizona, our “home” for three days. Esplendor Resort turned out to be truly a place of warmth and splendor. The resort has 179 guestrooms, including 15 one-bedroom suites and all have patios or balconies. On this trip we were busy in Tucson all day and needed relaxation in the mornings and evenings. What I found enticing was the resort’s marvelous view of the rolling hills of the Santa Cruz River Valley. The resort is situated on the top of a hill and has sweeping views of the valley and the growing town of Rio Rico below. The dining room and terrace are perfectly situated to take advantage of the mountain views. Esplendor is known as a golf destination. Although we didn’t play golf, it is important that visitors know about the world-class Robert Trent Jones Sr. designed 18-hole championship course. And, for tennis enthusiasts, there are four lighted courts. If you want to relax like we did, you might want to laze by the beautiful pool and hot tub. The hotel’s beautifully maintained grounds add to the air of relaxation. Even in February, there were blossoms to be enjoyed. 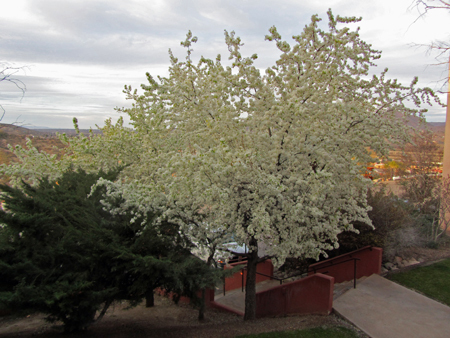 Just outside our room was an immense fruit tree filled with white blossoms. We chatted with the gardener one morning who proudly talked about the lovely grounds. Rose bushes had been carefully pruned and will burst forth with color once the warm weather arrives. Guest rooms are decorated in true Southwest themes… simply and tastefully. Rooms have a flavor of their own so be sure and review the website and pick the room that will suit you the best. Enjoy opening the sliding glass doors and bring the outside in with sounds of rustling leaves and the chirping of birds. Two evenings we dined in the elegant San Cayetano Restaurant. The decor was elegant and the wrap-around terrace overlooking the valley was not to be missed. The wait staff was friendly and attentive, in the traditional manner. There are not many restaurants anymore who actually train their wait staff to meet the expectations of the more discriminating diner. Esplendor Resort has a great staff. The restaurant serves continental cuisine (steaks, seafood) and are open for breakfast, lunch and dinner. Check with staff for closures. When the dining room is closed, the attentive saloon wait staff can take orders for a meal. Our meals were excellent. While they feature steaks and seafood, I will always remember the chicken stuffed with green chile. You can also dine at the The Santa Rita Grill restaurant which is a local golfers favorite for a laid-back breakfast or lunch. The grill has views of the Robert Trent Jones Sr. designed golf course and San Cayetano mountains. With a lovely dirt trail winding from the resort into the town of Rio Rico, you’ll have a great place to walk your dog at Espendor. The resort does accept pets. Esplendor Resort charges a $25 non-refundable pet fee for the entire stay up to 2 pets. They offer doggie treats at check in to their canine friends. 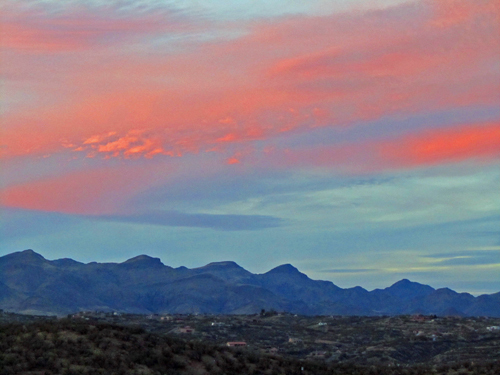 Esplendor Resort is convenient to many southern Arizona attractions. Birding is huge in southern Arizona. Not far from the resort is the beautiful Tumacacori Mission. On the same road you can purchase spices at the Santa Cruz Chili and Spice Company. They grind the package the spices on site. 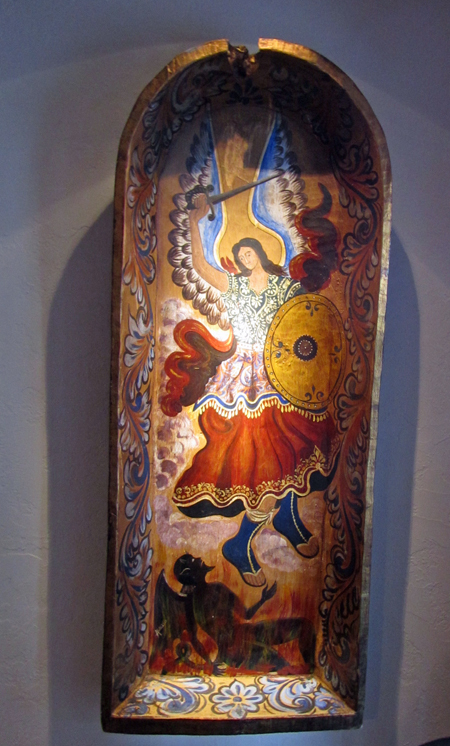 A real draw is the history and art of nearby Tubac. In February they have the Festival of the Arts. For day trips consider venturing through the beautiful rolling hills to the art village of Patagonia. Enjoy coffee or a meal at Gathering Grounds. Want to keep going? Spend a day in the southern Arizona Wine Country. Farther afield, but doable in a day are the western mining towns of Tombstone and Bisbee. I enjoy the Heritage Hotels, located throughout New Mexico and southern Arizona because they are unique and provide you with a rich cultural experience, specific to the area where you are staying. In Las Cruces, filled with chain motels and hotels. I found Esplendor Resort to have a true resort atmosphere. With lovely gardens, expansive mountain views and fine dining right on site, you’ll be able to slow down, relax and enjoy a vacation in southern Arizona. Make Esplendor your base for exploring the history and natural beauty of the area. Note: As is common in the travel industry, the writer was provided with complimentary accomodations for the purpose of review. While it has not influenced this review, the writer believes in full disclosure of all potential conflicts of interest.